An ideal stage light for the performing musician, the Clip-On Solo LED Light features two adjustable Bright White High Intensity LED Lights on a single gooseneck. Two brightness levels with a 3-way switch allow options for both LED's on, 1 LED on, or off. 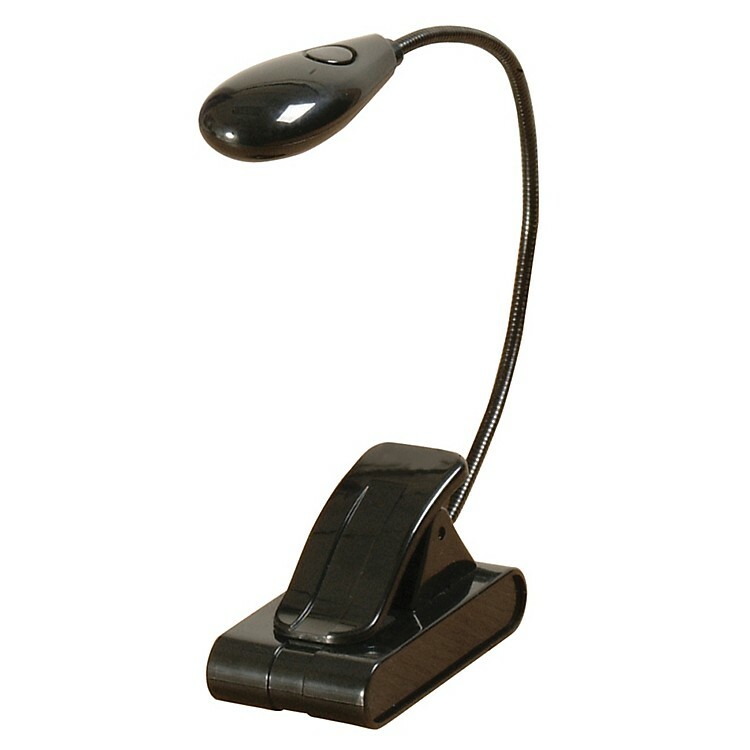 The flexible gooseneck attachment allows for easy positioning at any angle. The clip easily attaches to your music stand and the compact design also sits flat on a desktop! This light is powered by (3) AAA batteries and the batteries last for days without the light fading. Order today and don't miss a note.